The Door Industry Journal: GEZE’s CPD programme allows architects to learn at all hours! Chartered RIBA architects can now learn at any time of day thanks to the launch of a new series of breakfast and tea-time CPD seminars from GEZE UK. 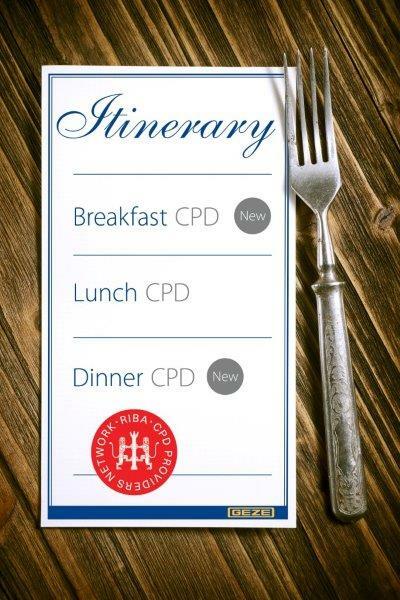 The company, which offers four RIBA-approved CPD Seminars, has traditionally offered lunch-time training, but has now increased the sessions available to give chartered architects the flexibility to fit compulsory learning around their working day. The presentations offered by GEZE UK, which are designed to offer invaluable advice and guidance, include EN 16005 - Safeguarding Pedestrians from Accidents at Power Operated Doorsets; Glass Door Assemblies - Selection and Specification; Designing Effective Natural Heat and Smoke Ventilation and Removing Barriers to Access. Each of GEZE’s CPD seminars is designed to be delivered at an architect’s practice and at less than an hour including time for a question and answer session, easily fits into an architect’s day. "Demand for our CPD seminars has been phenomenal, so we have been looking for ways that we can offer the training to even more architects. GEZE UK's in-house expert training contributes towards the 35 hours annual study that must be undertaken by Chartered RIBA members and is open to RIBA members throughout the UK. 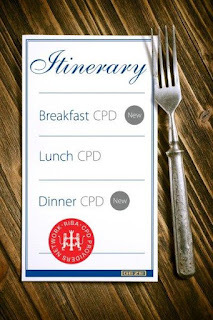 CPD Presentations can be arranged for between 7am and 10am, at lunch time or between 4pm and 7pm, although the company is happy to provide training at any other time of day. To find out more or to book a CPD seminar, email cpd@geze.com or visit www.geze.co.uk/geze/cpd.